With boating season just around the corner, it’s likely you’re itching to get your boat out on the water. For parents who’ve run out of creative ideas for keeping their kids entertained while cooped up indoors during winter, the need to get away is all the more urgent. Although finding a babysitter every weekend isn't always feasible, boating can still be a kid-friendly hobby—even if your child isn’t a nautical natural. Before you head to the marine supply store to stock up for the season, consider these tips for orchestrating a family-friendly summer. Kids love float toys, including mats and tubes. Arm floaties are great for kids who aren't confident swimmers, especially for younger kids. U.S. Coast Guard approved body/arm float combos are great also. Try a large tube that fits four or five kids at once, so they can hit the water with friends instead of going in alone, and doubles as a towable behind the boat. Consider keeping special games and toys aboard that kids can always look forward to playing. Card games are not only easy to travel with, but they can provide hours of entertainment. Best of all, there are a number of card decks that are waterproof, so you can teach kids classic games, like Go Fish, while relaxing on the boat deck without concerns about splashing. Travel board games also always make for a fun time, and opting for magnetic versions of classic games, like Backgammon, ensures you won’t lose any of the pieces. A hungry kid is a cranky kid, so always pack snacks. This can be dried fruit and nuts, pretzels and hummus, or sweet potato fries. If you have extra time, consider using a nautical-themed cookie cutter to cut sandwiches, instead of removing crusts the old-fashioned way. In addition to snacks, a beach picnic is a great way to spice up the day. You can pack lunches, or even order pizza at the dock for a special treat. Everything is better with friends, including a day on the boat. Invite other parents and their kids to join you. Children will find it much easier to avoid boredom when they have company. Just make sure that all kids aboard know and understand the rules of the boat and water safety procedures before you set sail. Additionally, make sure you have enough life jackets for everyone you take aboard, and sized correctly, in case of an emergency. If you’re unsure you have enough life jackets or think your current collection is past its prime, the boating experts at Harbortown Marine can help you find effective, budget-friendly life jackets in both kid and adult sizes, from Baby & Infant sizes to Adult 6XL. If your child is old enough, consider buying a youth-sized fishing rod. Even if they don’t catch anything, this is an excellent opportunity to teach them about aquatic wildlife. For children that are too young for a rod, bring a kid-sized snorkel or a shovel and pail. This way, they can still observe the critters either in the water or in the sand when docked at the beach. Located in Vermilion, OH, Harbortown Marine, Inc. is a quality marine supply store that offers a slew of family- and kid-friendly boating supplies. 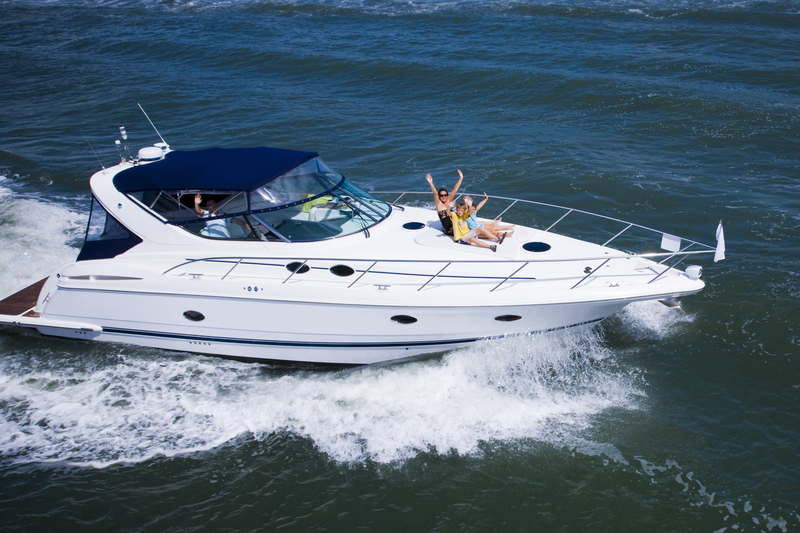 With a broad range of items, including life jackets, boat electronics, tubes, kneeboards, wakeboards, and water skis, they’re the go-to source for meeting all your nautical needs. Call (440) 967-8072 to speak with a friendly team member, or visit their website for more information about their products.